Kapi Regnum is an online game in the category Business Games, which you can play for free online. Since this is a browser game, you have no games for other software such as online games and you can download from any computer that has an Internet connection to play. 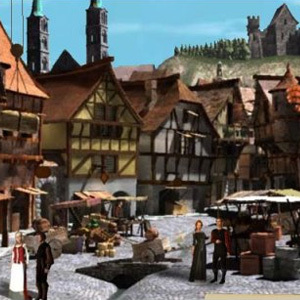 Kapi Regnum is a business simulation that places you into the Middle Ages. As ruler of your own town you determine where does the money the city treasury and invest in the sectors of activity you want. It’s your choice whether you want to become a commodities trader and increase your fortune by selling wood, stones, water and tools, or if you decide to agriculture or any of the craft activities. The production of arms for the city guard or votive offerings for the sale of indulgences is conceivable. Your plans for you is the simulation game 60 building sites in your own four walls available, which must be utilized wisely. Verkalkulierst you out, then the path by the serfs to the electors very rocky. At the beginning of browser games you’re just not all buildings are available, but with increasing Allod and rank will be released gradually to new buildings. Are all your building up, so you can continue to expand by you build your existing building. But in the Middle Ages simulation work your plants do not by themselves. To always have enough workers available, must also neighborhoods and entire neighborhoods are built. However, too many unemployed people living in your walls, it can also lead to riots. Here, too, costing is required. Your finished product you can either use your own markets to sell to your public, for example at the farmers market, the Viktualienmarkt or in the guest houses, or do you offer on the Grote Markt of the browser games other players to buy, to play with you online. Like other economic games you with these economic simulation, the ability to direct contracts to be concluded with other cities. This way you save you the expensive market fee and your buyer receives the goods are cheaper than on the Grote Markt. However, not only with individual players to work you can, because what would a browser game with no community? Did you find like-minded people, so you can in the simulation game, a guild or simply join an existing guild – assuming you’re invited. As a guild you can watch the high score list to try and work against other guilds to maneuver, because what would a medieval simulation games without ranks? Like other online games is also funded by this browser game including premium accounts. A premium account costs you but a small monthly fee gives you in return, but some advantages in the online game. It will cost you want, say, more storage and building space available and you can play the browser game without annoying banner ads. However, it is also possible without premium account, bootstrapping himself up to the top of the richest lords.